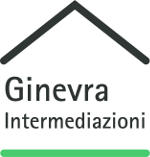 Ginevra Intermediazioni is an agency that boasts an experience of more than twenty years in the real estate brokerage, specialized in upscale properties and dwellings, especially in the province of Treviso and in Veneto. It was founded and directed by Stefania Barbieri, licensed real estate agent. What stands out for us, is the care and attention that we dedicate to each negotiation, in order to reach a satisfying and serene conclusion of the purchase, together with a proved professionalism and a deep knowledge of the market. If necessary, the agency avails itself of specific consultations, thanks to the stregthened network of professional partnerships, able to ensure the same level of experience, accuracy and availability, also on an international level.